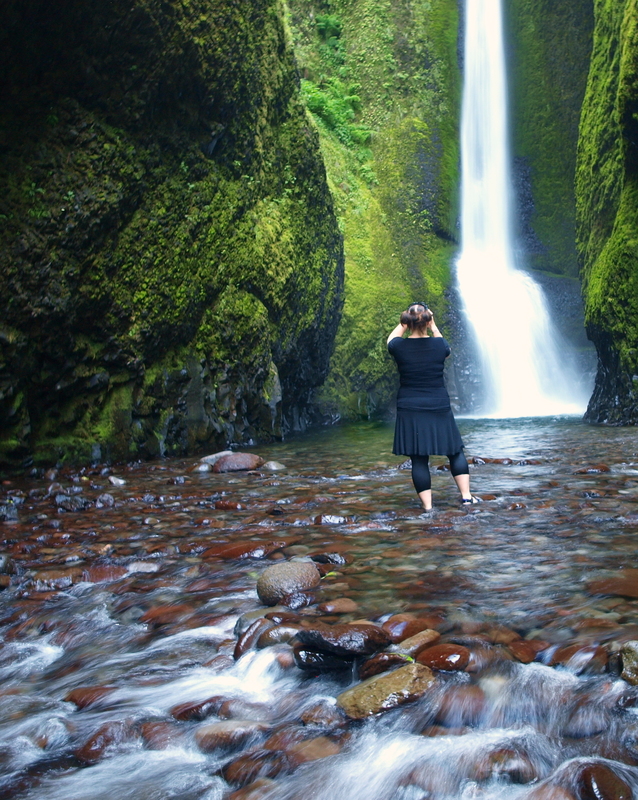 While doing more work for the Hiking Waterfalls in Oregon guidebook my girlfriend, Stephanie, lines up the perfect shot of Lower Oneonta Falls. I’ve had this waterfall featured a few times as Pic o’ the Week before, but if you haven’t seen it or would like to know how to get there, check out this link. Click on pic for larger image.